Card Winder(Sewing thread / hair thread)(TN-03) - Taining Machine Industries Co., Ltd. 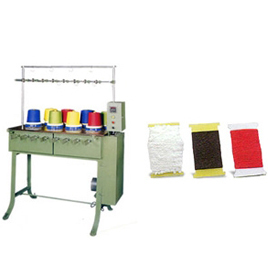 This machine is specially designed to wind on paper card for hair thread or other sewing thread. The machine is automatically to stop when the predetermined length has been wound. Simply frame and easy operation & maintenance.